University of Illinois Springfield Athletics was proud to host more than 250 children from Springfield Public School’s Project SCOPE during a two-day sports and fitness event held at The Recreation and Athletic Center (TRAC) on July 26-27, 2011. “It’s a little bit of a field trip for them to come out and interact with our coaches, our administrators and our student-athletes,” said Marne Fauser, UIS head women’s basketball coach and coordinator of the event. This is the second year UIS Athletics has hosted the program, which is designed to show kids that sports and fitness can be fun. “We believe in healthy kids and fit kids and we want them to be active and enjoy playing sports,” said Fauser. The event featured 15 stations outside and in the TRAC gym focusing on basketball, soccer, volleyball and other fun games. Project SCOPE is the before and after school program in District 186, which during the summer transforms into an all-day camp. The students spend their summer learning and taking a variety of field trips. The goal of Project SCOPE is to provide care, which promotes social, emotional and physical development. The partnership not only creates a supportive environment for the children, but also allows UIS coaches, student-athletes and staff to connect with the community. UIS Athletics hopes to continue the partnership with Project SCOPE in future years in an effort to bring the children back to campus. A total of 551 students have been named to the University of Illinois Springfield Dean's List for the 2011 spring semester; 93 are students in the college of Business and Management, 76 are students in the College of Education and Human Services, 325 are enrolled in programs in the College of Liberal Arts and Sciences, 53 are enrolled in programs in the College of Public Affairs and Administration, and 4 are non-degree or undecided. To qualify for the designation, a student must be an undergraduate who took at least eight graded semester hours and maintained a grade-point average of at least 3.75 for the semester. The list is organized alphabetically by hometown. 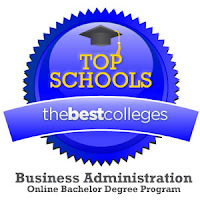 The University of Illinois Springfield’s Online Bachelor of Business Administration (BBA) program has been ranked fourth on a national list of the Top 10 Online Bachelor of Business Administration Degree Programs of 2011. The ranking was conducted by the website The Best Colleges, which uses publicly available data to evaluate programs according to several different criteria, including reputation, accreditation, student satisfaction, and cost. The ranking can be found on the company's website. The online BBA degree completion program is administered by the UIS College of Business and Management and is identical to the school’s on-campus BBA in every way, except the admissions process. Students must have at least 54 credit hours of prior coursework from an accredited college or university in order to enroll. UIS beat out several big names in online education to earn the fourth spot on the list, including the University of Minnesota at Crookston, California State University-East Bay, and Drexel University Online. The list was topped by Florida International University, second ranked UMassOnline, and third ranked Penn State World Campus. 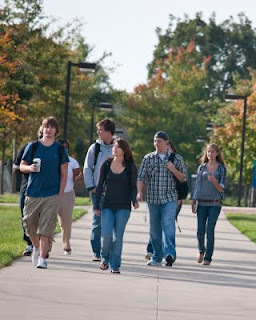 According to its websites, The Best Colleges prides itself on “providing independent evaluations of traditional and online colleges and degree programs” and seeks “to highlight those schools that offer a quality, reputable education at a reasonable cost.” The website strives to be open and transparent about data collection methods so students can make their own judgments. The website does not accept paid placements for school rankings. For more information on the ranking, contact Dr. Laurel Newman at 217/206-7931 or email newman.laurel@uis.edu. Chancellor Susan J. Koch today named Kimberly Pate as the new director of athletics at University of Illinois Springfield, pending approval of the University of Illinois Board of Trustees. Pate comes from Brevard College in North Carolina, where she had been the athletics director for the past four years. Brevard College is an NCAA Division II member in the South Atlantic Conference. Pate oversaw 18 athletic programs at Brevard College. 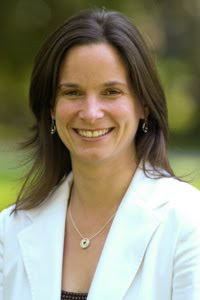 She is also a member of the National Association of Collegiate Women Athletic Administrators (NACWAA) and is vice chair of the NCAA Division II membership committee. Pate was instrumental in the college’s transitional process from NAIA to NCAA Division II. 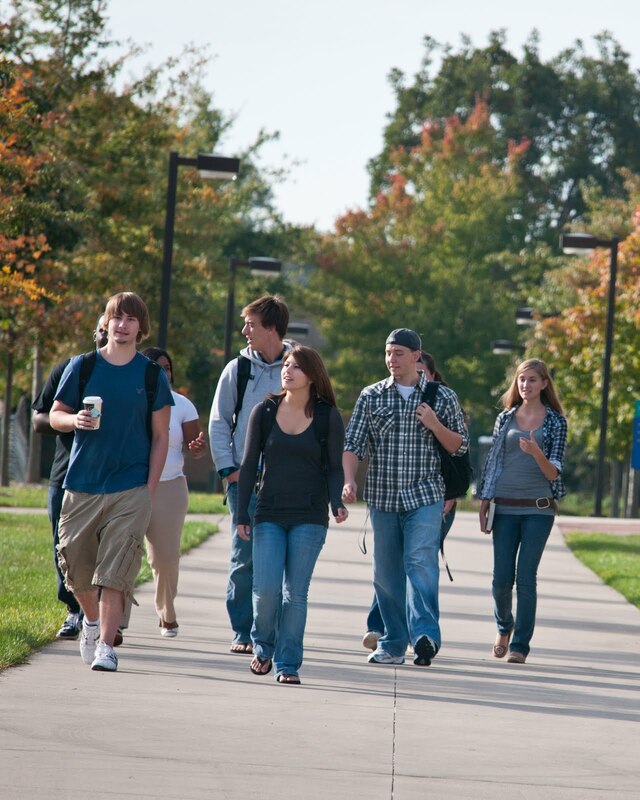 UIS has undergone that same transition in the past four years. Pate was promoted to athletics director at Brevard College after she was its assistant athletic director for compliance and business. She was also a graduate of the college and was a two-time NAIA Academic All-American Athlete and a four-year starter for the softball team. She has a master’s in Business Administration from Western Carolina University. Pate will become the acting athletics director on July 26 and the full-time permanent Director of Athletics on August 16. She and her husband, Rick Pate, will be moving to Springfield along with their daughter Carsen, who is four months old. UIS has 11 athletic programs and is a member of the Great Lakes Valley Conference in NCAA Division II. UIS recently had 39 student-athletes names to the Great Lakes Valley Conference All-Academic Team.